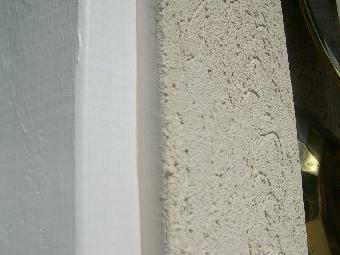 Improper water sealing (caulking) can cause water to invade your home around windows, doors and dissimilar surfaces in contact with stucco. Over time the wood in contact and beneath the stucco will rot. Unfortunately this wood rot is not usually noticeable to the homeowner until there is a problem. 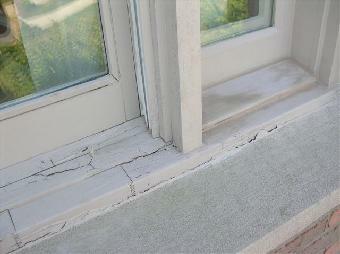 Window caulking and door caulking is important for water proofing and moisture proofing your home. 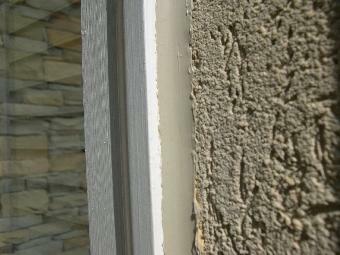 When EIFS or hardcoat stucco systems are installed many areas need to be water sealed. All windows, doors, exterior spigots, HVAC and gas lines, electrical and light fixtures, cable wires and dissimilar surfaces need to be sealed with a high quality silicone sealant. Atlanta Contracting Services, Inc. uses Dow Corning 795 silicone sealant exclusively for all of our water sealing projects. 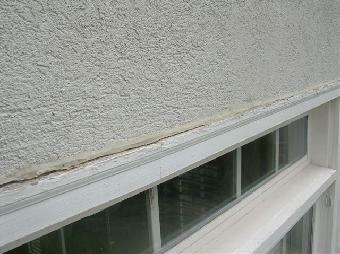 This window was caulked with clear silicone.